Basically - Ford's strategy is to take their regular cars, and manufacture them with an electrified drive drive train depending on how the customer configures the car. This means the Fusion Energi is the same as the regular Fusion. The electric range is 21 miles - which isn't quite enough for typical daily driving. This means the typical driver will have to charge during the day in order to fully avoid burning gasoline. Performance is pretty darned good - though we were only able to drive around the city, not on the highway. It handled San Francisco's hills with ease. The C-MAX's (Hybrid and Energi) are almost exactly the size of the Toyota Prius v. But, Ford claims, they have higher fuel efficiency and the E-MAX Energi has a longer electric-only range. I drove the C-MAX Energi and Fusion Energi back-to-back. The Fusion felt like a regular sedan, while the C-MAX has more room, more headroom, the seating is taller, and in every way it felt like a bigger vehicle. The window arrangement also gave great vision all the way around. I'm very familiar with the C-Max Energi, having purchased one in December. It's a great car. It's a good bit taller than a sedan, and very comfortable. The battery is good for ~20 miles in pure-electric mode, then it's a very reasonable hybrid getting just over 40mpg. My last few tanks were all in the mid-60 mpg range, using the gas engine almost exclusively for weekend trips and driving purely electric all week. I was very impressed on my first test drive, the all-electric power is plenty for average driving, but it's not a sportscar. On the other hand, with both the gas engine and the electric motor running, it's actually quite zippy. The cargo area has a raised floor to accommodate the large battery, which cuts down on your ability to carry big cargo. But it's still plenty big for my needs, and the rear seats fold easily for additional cargo. My first week with the car was a christmas road trip with the parents, and it did a reasonable job carrying 3 people and a load of luggage (and presents). Overall, I'm quite happy with my new car. The bad news is that I can do local driving entirely on electricity and still have the comfort and safety of a car, so my scooter is going to get neglected. At leaset hybrids are a tiny step for people unwilling or unable to go full electric. I will, for the first time in 4 months, have to buy petrol to put in my Prius. I have been loving my Nissan 100% electric car. I noticed petrol was $1.67 a litre today. That's $6.61 a gallon for you people in USA. That's US $78.20 to fill up a 2004 Gen 2 Prius. I think that any hybrid with a full EV mode is a *big* step, not a "tiny" one. Really weak hybrids that don't do much more than shut the engine off when stopped and add a little assist when accelerating don't do much to promote EVs, but driving a car that can emulate an EV, even for short distances, is a big first step in overcoming social inertia and fear of the unknown. I was riding two wheeled EVs before we got our Prius, but my housemate wasn't, and she'd be a lot more comfortable driving, say, a Leaf now than she would have been before the Prius. In my mind, plug in hybrids ARE the answer. All charging and refueling stations are already in existence and it makes it possible to own one car for daily, mostly electric use and lose the range anxiety and inconvenience of recharging during long trips. The majority of people who buy these will, most likely, charge at home every night and then drive to and from work on electric only. It will only be necessary to use gas for longer trips and those will be infrequent. The end result is that the car is "electric" almost the whole time and people actually will buy one. Isn't that what we want? The main trouble with plugin-hybrids is that they ALWAYS must lug around the ICE and associated components such as clutch and gearbox, and accelerate and deccelerate that mass along with the vehicle, even in electric driving mode. Not a very efficient thing to do :-( It is almost like constantly driving around a stowaway, an unseen passenger. It would be better if a range extender could normally be stored in the garage and only be put on board when needed for longer journeys. In some semi-automated manner. The main problem with EVs, besides the range,cost and time to charge, is that the batteries weigh the same empty as full and have to be lugged around all the time. I would venture to say the weight of a Plug in Hybrid with enough battery capacity to go thirty miles plus an ICE is not that far off from the weight of an EV with sufficient batteries to go 100+ miles. It may be less. Ha, I looked it up! Ford C-Max-3370lbs, Nissan Leaf-3375lbs. The PIHEV can go 4-500 miles though, if necessary. The Nissan Leaf...75 miles. 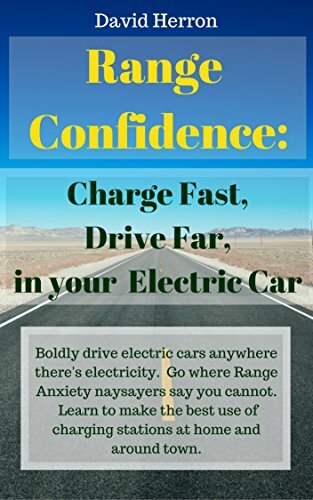 Electric with no range anxiety = sales. That is a PIHEV. I didn't address your idea of a trailer with a generator to charge the EV and extend it's range. It would be cool to be able to easily rent one for long trips and just plug it in to the back. Most Americans are not interested in that kind of thing though. They want to be able to go when they want to. They will buy a big SUV because one day, in the future, they think they may decide to try camping or skiing and then they use it only to go to work and back and the kid's soccer practice. A lot of people buy the huge SUVs for "Safety" but the fact is they take much longer to stop and have a propensity to roll over on off ramps. We have to deal with the market we have, not what is theoretically best. The "Best" solution is not the solution if no one participates. I think PIHEVs have the best shot at being accepted by the public. Don't you think it is interesting that the largest car company in the world, Toyota, is not more active in pursuing pure electric vehicles? All they have is the RAV4 and it isn't selling. Yep, this is the core reason why a PHEV is a winner. I regularly take 200+ mile trips on the weekends. The Leaf simply can't do that, period. Ok, the Tesla models can, but I'm not about to drop $80-100k on a Tesla. Instead, I have a car that easily gives me enough electric range for my daily commute, and yet doesn't hesitate to give me a thousand mile roadtrip. And it does it for a very reasonable $30k. As a primary car, as the only car I own, that's a brilliant success. Sure, when I'm driving locally, I'm carrying around more engine weight than I need. And on a road trip, most of the battery is unused (but I still use a bit since it's operating as a hybrid). But to combine the two, to use a battery that is a little undersized plus an engine that is also a tad bit undersized into a very capable compromise, is a bit of brilliance. Until battery technology gets its next order of magnitude jump in performance, the PHEV is probably the optimal single-vehicle solution for most people. And face it, the majority of people in this country want/need a single-vehicle solution. Congrats, MikeB, on your purchase! I am jealous, in the best of ways. We have solar power and it is quite a feeling to "make your own gasoline" if you have an electric vehicle. My Wife's commute is only 7 miles and her current ICE car will last almost indefinitely at that rate. I do most of my driving on my CuMoCo C130 Maxi Scooter and enjoy it. In SoCal electric vehicles that are charged with solar power is not pie-in-the-sky technology by a longshot. The future is now. In cold weather climates it may be more cost effective to spend your money on insulation and increased efficiency appliances,etc. This makes me think that if the government is going to give credits for efficiency, they should develope geographic regions where the credit is connected to the improvement that is most effective for that climate and latitude. That should not be too difficult to figure out. @LCJUTILA: I wasn't thinking trailer. That is too cumbersome to use, agreed. Various tier 1 suppliers have in recent years developed range extender packages that have everything on board that is necessary to power them. One was even made to fit in the wheel well. A "power pack" like this could be configured to be fitted to the vehicle from underneath. After a driver first parks his newly aquired EV with "range extender upon demand" in his garage he could simply lower the thing onto the garage floor and drive around in electric mode during the week on his daily commute. And for the weekend hunting trip or to visit granny he would have his vehicle pick up the RE-package from the garage floor and be on his way to wherever. I know it may sound a little far fetched (and a little like Better Place...), but it could be a solution to lugging around inert equipment (which a battery isn't when your are driving electrically, so your comparison isn't 100% spot-on, at least as long as there is still some life in the battery :-) when not needed. Similar things of course could be done with modular battery packs. One is permanently installed in the vehicle, and a second one could be sitting on the garage floor while waiting for the weekend. But for the single family car I completely agree that the most practical solution at this point in time and battery development is a plugin hybrid electric vehicle, despite it's added weight. A 200 mile trip is possible with a Leaf - if quick charging is available. It's still possible at level 2 charging on the 2013 Leaf if you're willing to wait a few hours during the trip. Okay, that's not too feasible, but I've done it with my Karmann Ghia. My typical 200 mile weekend trip is up to the mountains for a hike and some photography. I can be on the trail for several hours, which would be plenty of time to recharge the battery with a Level 2 charger. Except that I'm most likely hiking somewhere in the national forest, where there's no power, no water, and probably not even pavement in the parking lot (if there's even a lot). My other weekend trip is to an astronomy cabin 115 miles from town. Once I'm at the cabin, there's power and plenty of time for a recharge, but the Leaf can't handle the 115 mile interstate trip in one hop either. This may become a possible trip if one of the interstate exits added a fast charger, or if the Leaf doubles it's range in the next few years. If the Leaf supported a range extender, either in the trunk or as a trailer, that would also make it viable for a longer interstate hop. That is not entirely true, special relativity dictates that the charged batteries will be a little bit heavier - emphasis on "little bit". Specifically the mass gain is = (watt-hrs*3600)/299,800,000^2. So a deluxe Tesla Model S will be .0000034 grams heavier when fully charged. You crack me up LOL!! !